The museum was looking for a visual way to let visitors know about the variety of exhibits available to view. 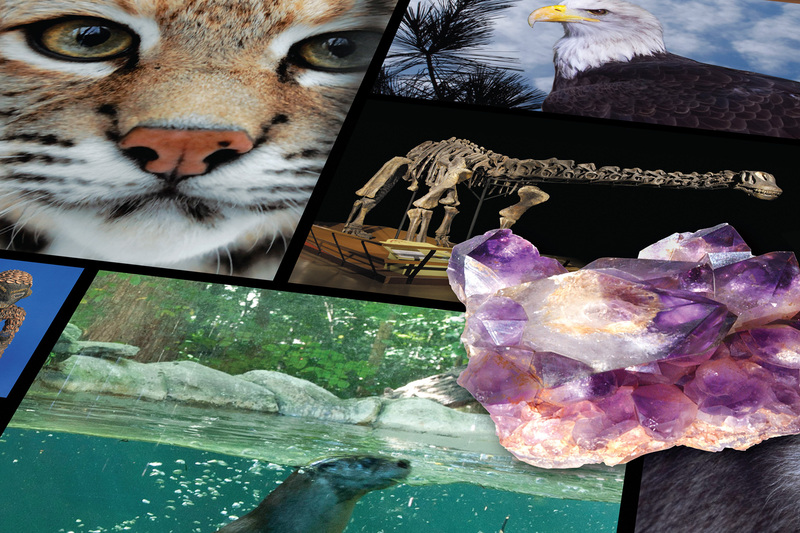 We tapped into the museum’s photo archives and created a stunning photo montage that captures and features the diversity of the museum’s collections. 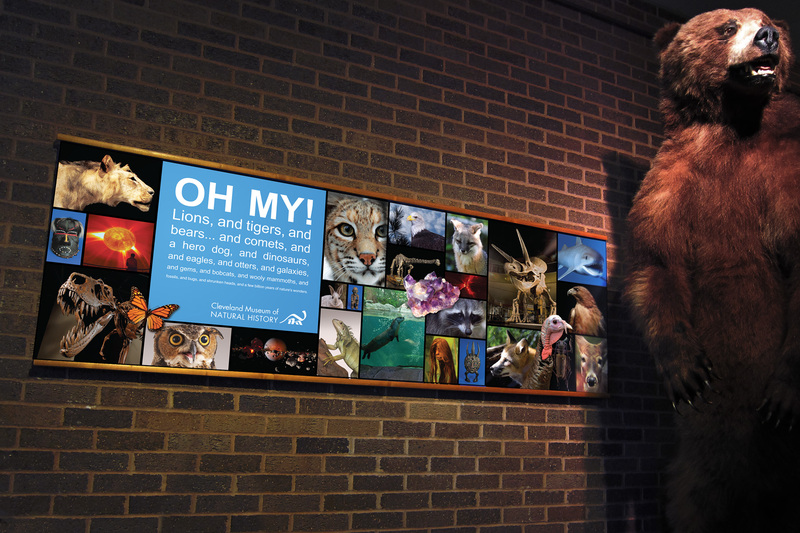 This large format graphic was mounted next to the visitors desk with a full-size grizzly bear sentinel to give a sneak preview of what was in store within.